My poor little man. Yesterday we took him to the vet to have him snipped, but a couple of hours after we dropped him off, they called to let us know that they had found a lump on his leg that they thought might be cancer. So they did a little test but discovered no cancer cells. Yet. We are giving him antibiotics and pain meds and watching him for a week to be sure the lump doesn't get any bigger. 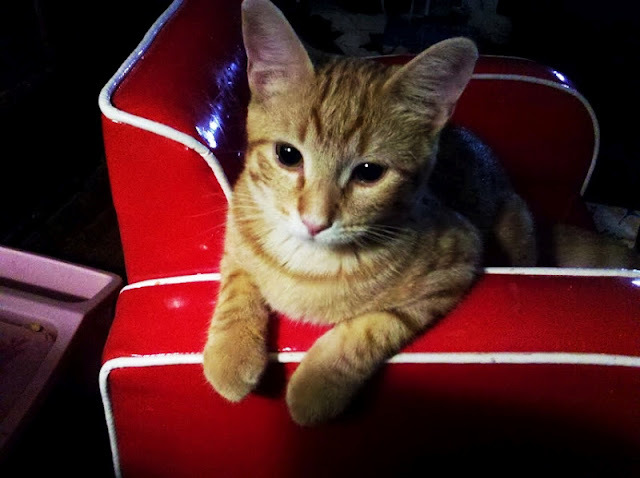 He may be just a little orange tabby, but he is very dear to my heart, so I am hoping that in a week, the dime sized lump will be nothing more but a memory. I am thinking positive thoughts. After all, he IS the mighty Thor.